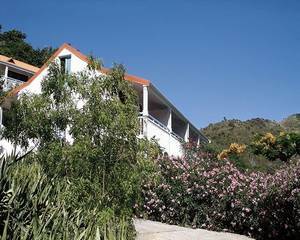 The resort Les Cottages de Lonvilliers is built on the mountain in the heart of Anse Marcel, on the Northern coast of the French side of Saint Martin. It is an ideal place for people looking for a calm and friendly environment. As the resort has only 13 units, enjoy the charm and home from home ambience. The island, edged with sandy beaches is also a paradise for shopping. To enjoy the island, visitors should rent a car.